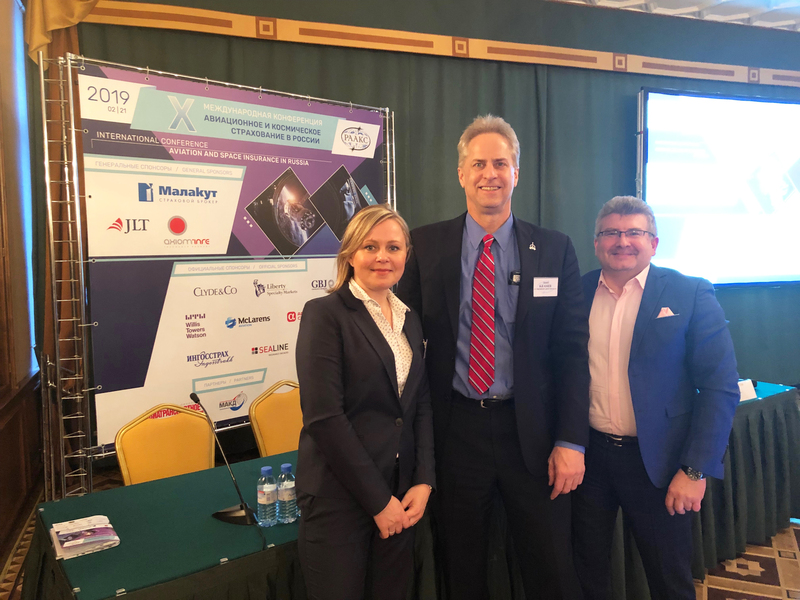 Jim Kramer, ILS Vice President, Engineering and Mission Assurance, was in Moscow for the Russian Association of Aviation and Space Insurers (RAASI) international conference which was held on February 21. RAASI was founded by insurance companies in July 1996. The ILS team is in snowy Moscow to meet with our customer, Eutelsat. Eutelsat 5 West B will be launched in 2019, replacing the Eutelsat 5 West A satellite at 5° West, a key digital infrastructure addressing predominantly French, Italian and Algerian broadcast markets.